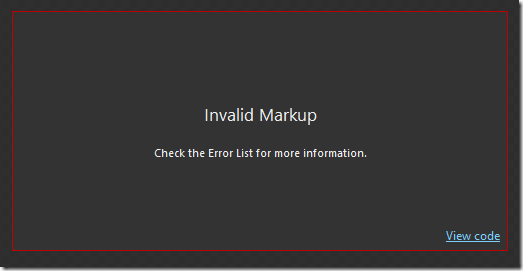 The cause of the issue is a problem with how Blend loads solution configurations. Since Blend has no way to change or edit solution configurations on its own it is dependent on whatever is set as the current configuration in Visual Studio. Normally this isn’t a problem but when the WPF project you’re opening has a project configuration of “x86″ and is referencing any WPF project (like a control library) which has only an “Any CPU” configuration (which is the default for new ones in 2012) Blend loses its mind and can’t even resolve the built in WPF types. Fortunately, the fix is easy once you know where the problem is. 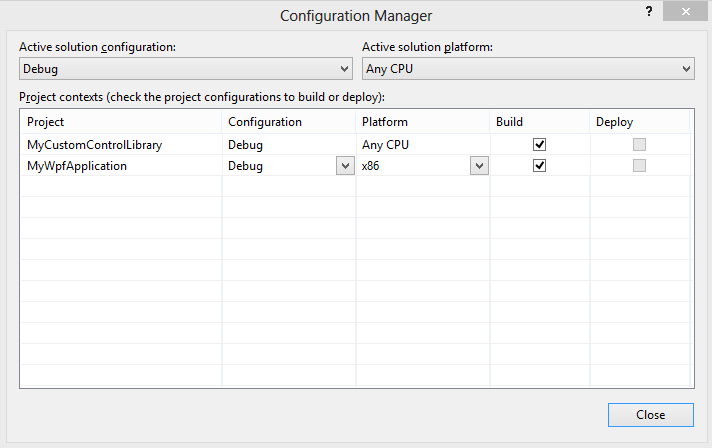 In Visual Studio’s Configuration Manager (under the Build menu), either adding a new “x86″ project platform to your library projects or changing your main application to “Any CPU” will allow Blend to load properly. Thank you!! I was having this exact problem and just couldn’t figure out what was happening. This did not happen with Blend4, btw. Life saver.